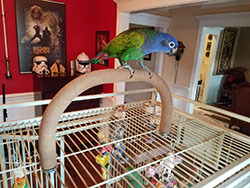 Custom perches available upon request, yay!!!!! 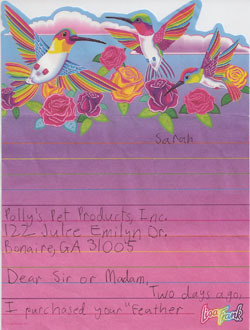 Polly's Pet Products, Inc. is the culmination of a life-long love of pet birds. 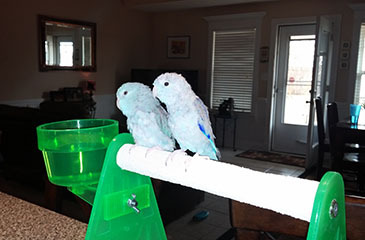 Our original effort was to raise and sell exotic birds. One branch of our efforts involved developing a unique perch that would wear down a bird's nails as it occurs in the wild. 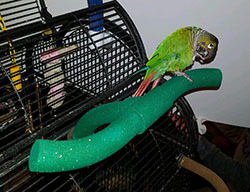 With the assistance and advice of Dr. Bran Ritchie, veterinarian and Professor of Psittacine Research at the University of Georgia, we developed a cement-based perch that would naturally wear down a bird's nails, but would not harm a bird's feet. 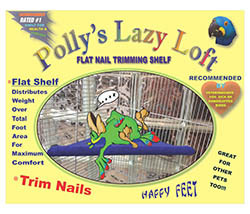 The product is sold as "Polly's® Pastel Perch," with its motto "Never Trim Your Bird's Nails Again." 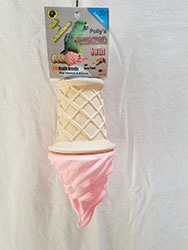 Check it out in our Perches & Stands products section! Now selling cuttlebone in 5, 10, and 25 pound boxes. I just wanted to say THANK YOU for the pair of BEAUTIFUL hand-made Polly's Pastel Pedicure Perches I just received! They are perfect in every way, just as my old 17 year old perch is! It was so kind of you to go out of your way and make these for me and I appreciate it very much. We discussed the downfall of small business in the U.S. under the crushing weight of the over-whelming competition of cheap goods coming in from China. 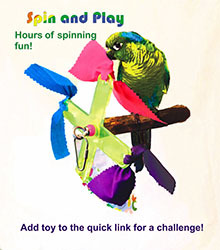 These are so very much better, I am so relieved for the health of my bird's feet! Thank you again for your prompt and courteous response both in contacting me and sending me the finshed products, and most of all, thank you for caring. 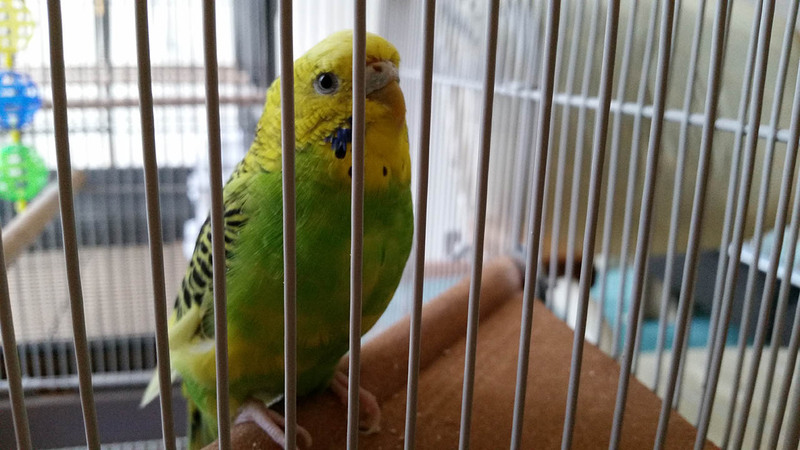 I wish Polly's Pet Products well in the future and hope you will continue to be a staple of the avian supply industry for a long time. 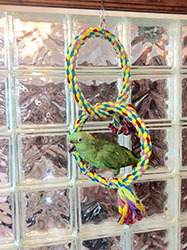 Just wanted to share this photo of our parakeet, Jazz, on your Polly's Lazy Loft. She is usually afraid of everything we put in her cage, but as soon as we put this in, she just had to check it out. I've even noticed her napping on it. She really likes to chew on it though. 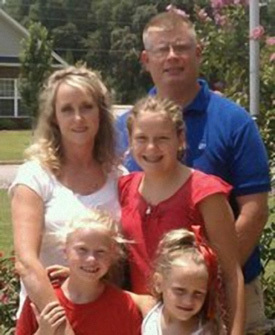 Thank you for making a wonderful product here in the USA.